Can Agricultural Growth Poles Solve Rural Poverty in Africa? 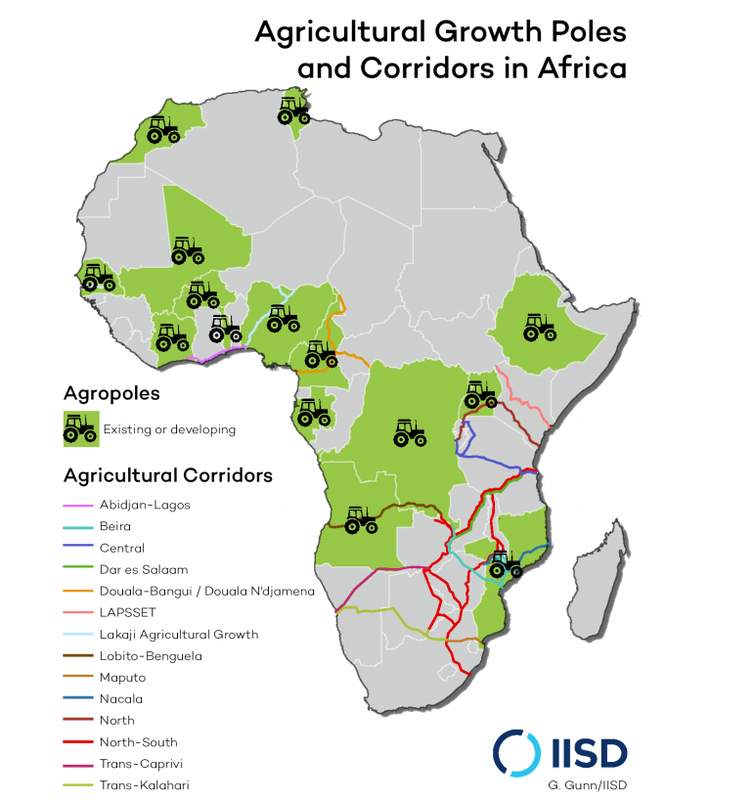 African governments are deploying a new development tool: growth poles aimed at kickstarting the shift from subsistence to commercial agriculture. Over a dozen agricultural growth poles, or “agropoles,” were established in the past four years, bringing the total to 36 growth poles and 9 corridors since 2002. They cover at least 3.5 million hectares of land in 23 countries, our research has found. What is an agricultural growth pole? The theory behind agricultural growth poles makes a lot of sense. First, identify a potential "breadbasket." Then, develop a public-private partnership to invest in the infrastructure needed to spur agricultural transformation through roads, food storage facilities, electrification, irrigation and food processing plants. Help local farmers get access to training, financing, equipment and markets. Work with local communities to identify large tracts of land that can be farmed for commercial crops. The ultimate intended outcomes will be to increase production, reduce crop loss and create good jobs. Over a dozen agricultural growth poles, or “agropoles,” were established in the past four years, bringing the total to 36 growth poles and 9 corridors since 2002. Agriculture is increasingly seen as the driving force for economic transformation in Africa. In 2014 African heads of state committed to eradicating hunger and rural poverty through a transformation of African agriculture. The growth pole strategy is spearheaded by African governments, with financial and technical support from regional and multilateral organizations such as the African Development Bank, the United Nations Industrial Development Organization and the World Bank. Are agropoles just another land grab? The 2007–08 food crisis led to a dramatic increase in large-scale investments in agricultural land. Foreign investors gained the right to more than 50 million hectares of land—an area larger than Germany—in more than 1,500 land deals, according to the Land Matrix. Land conflicts erupted across all continents. If done correctly, agropoles could potentially avoid many of the negative impacts associated with the ill-designed deals that became known as land grabs. But if done wrong, many of the same problems could arise. Agriculture is increasingly seen as the driving force for economic transformation in Africa. Do agricultural growth poles work? 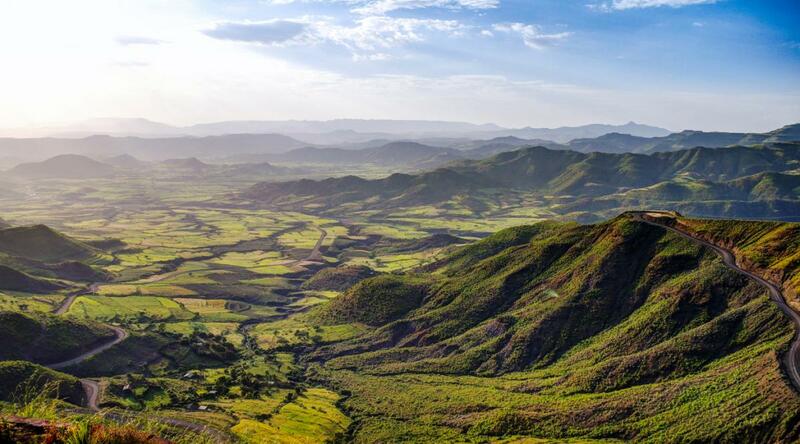 It is too early to talk about the success or failure of agricultural growth zones, but there are cases where countries are facing operational constraints. A lack of investment, weak strategies, poor coordination, governance challenges, a lack of available land and insufficient considerations are some of the factors identified in our research. What can governments do to make agricultural growth poles succeed? We are working to strengthen the legal frameworks of agricultural growth poles. We have also identified a number of potential risks to avoid negative outcomes—including stabilization provisions and tax incentives—and outlined three key stages in the development of a responsible agricultural growth pole: vision, design and implementation. Engagement with local communities and small-scale farmers, particularly women, is critical at all stages of the process to ensure that they are properly consulted, participate in decision making and are integrated into new projects. Transparency is also critical at all stages. A strong agricultural development plan will help ensure the success of an agricultural growth pole. This plan must identify the types of sectors, crops and processing facilities to prioritize, and therefore the types of companies to attract. It requires the identification of land and water needs, including assessing the availability of land, water and soils, and mapping out all legitimate land users with formal and informal rights, in line with the Committee on World Food Security (CFS) Voluntary Guidelines on the Responsible Governance of Tenure of Land, Forests and Fisheries. It requires the identification of investment needs that will contribute to food security, decent employment and responsible management of natural resources, in line with the CFS Principles for Responsible Investment in Agriculture and Food Systems. Many investments fail for reasons that could have been identified prior to the commencement of operations. Screening of potential investments and investors does more than reduce the risk of failure—it also helps ensure the projects selected are most likely to deliver positive development benefits. The design stage requires the preparation of business feasibility studies, including commercial, financial and environmental feasibility, and the development of a business plan based on the outcome of those studies. Environmental and social impact assessments and management plans are also a necessary component of the design phase. Accessible, transparent and culturally appropriate grievance mechanisms should be implemented during the design phase to deal with concerns from employees and the local communities and to resolve disputes arising between the investor and the government or other stakeholders. Implementation of agropoles, including monitoring and enforcement, can be the most challenging stage for governments because of limited resources and capacity. Setting aside a percentage of the revenue from investors can help ensure that the government and the agency responsible for the growth pole has the capacity to monitor and evaluate the project effectively. Setting out clear reporting requirements and indicators will ensure the government or agency can regularly track whether the investor is fulfilling its development and environmental obligations and its commitment to the local community. Compliance can also be strengthened through processes involving local communities and farmers.